Tuesday 5th September, London: Today The Balvenie, the most handcrafted single malt Scotch whisky, reimagines a classic Speyside style whisky with the release of an exceptional peated expression – The Balvenie Peat Week Aged 14 Years (2002 Vintage), available initially in a select number of markets. The Balvenie Peat Week is the product of trials undertaken by The Balvenie’s Malt Master David Stewart MBE and Ian Millar, former distillery manager and current Prestige Whiskies Specialist at William Grant & Sons. At a time when very few Speyside distilleries were using peat in production, The Balvenie distilled a batch of heavily peated malt, which was laid down to mature at the distillery in Dufftown, Scotland under the watchful eye of the industry’s longest-serving Malt Master. 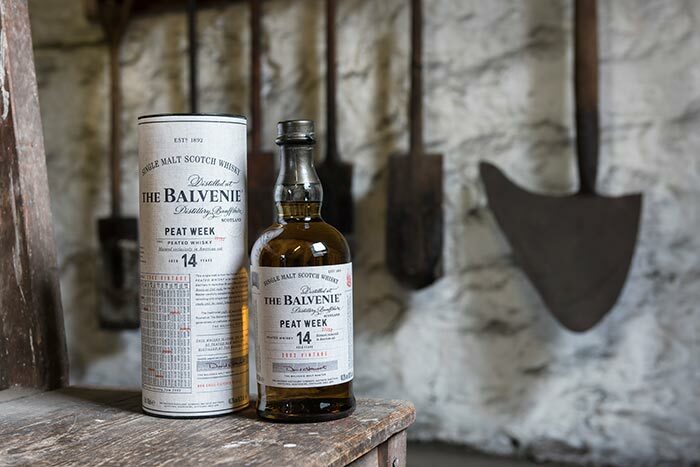 Since this pioneering moment, the distillery has dedicated one week each year, named Peat Week, to using only peated barley in its production, in order to craft a different style of The Balvenie liquid with enhanced smoky notes. The result of the initial experiment is a classic honeyed whisky enriched with a delicate, sweet and lingering peat smoke that unlocks flavours unexpected from a Speyside distillery and showcases The Balvenie’s truly innovative and forward-thinking nature. The Balvenie Peat Week (2002 Vintage), released in September 2017,is a single vintage bottling, limited and rare by nature. This non-chill filtered expression, bottled at 48.3% ABV, will launch exclusively to the USA, UK, Denmark and Sweden in September. The liquid was matured solely in American Oak casks, giving the final spirit a velvety and round taste with the peat smoke balancing oaky vanilla and honey. The new release pays special homage to a time when peated whiskies were commonly produced by distilleries across Speyside, including The Balvenie, who utilised locally sourced peat throughout the 1930s, 40s and 50s to dry barley processed at the distillery’s traditional malt floor, which is still in use today. The release follows the June release of The Balvenie Peated Triple Cask Aged 14 Years, exclusive to travel retail. Both bottlings will be permanent additions to The Balvenie’s existing range. 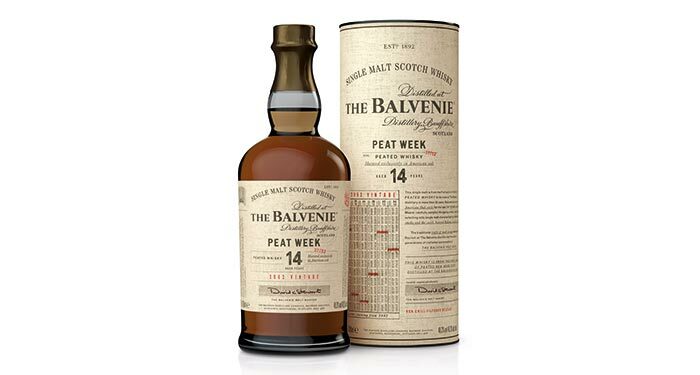 The Balvenie Peat Week will retail for £60 RRP and is available from September.